The Functional Brain Tractography project (F-TRACT) aims at improving our knowledge on large scale human brain connectivity from intracortical stimulations at low frequency performed in epileptic patients who are candidates to resective surgery. 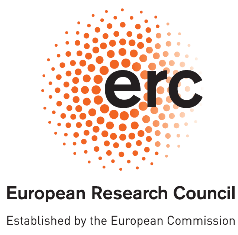 F-TRACT is funded by the European Research Council through a Consolidator Grant awarded to Olivier David, team leader at Grenoble Institute of Neuroscience, France. F-TRACT started in August 2014 and is expected to end in July 2019. Single-pulse direct electrical stimulation of cortical regions in patients suffering from focal drug-resistant epilepsy who are explored using intracranial electrodes induces electrophysiological responses. Such cortico-cortical induced potentials can be used to infer functional and anatomical brain connectivity. We will develop methods to analyse those responses using neuroimaging tools in order to create a new probabilistic atlas of functional tractography of the human brain, which will be made freely available to the clinical and neuroscience community. Several thousands of stimulation runs performed in several hundreds of patients will be included in the atlas database to reach a nearly full coverage of the human cortex. This new atlas of functional tractography will be very useful to understand how the brain works and to develop neurocomputational models at a large scale. It will also allow the development of new clinical tools for the presurgical evaluation of intractable epilepsy.